I never get tired of reading out-of-body experience books, and that's because everyone has a different perspective. This book is really different from other books on the subject, and for that reason I found it enjoyable. When I first picked up the book, I was concerned. The back cover has a photo of the author sporting a baseball cap and looking positively angry. That's not a good first impression. Second, the cover was almost completely black: the face in the photo above is not visible unless you look really hard on my copy. On the other hand, it's 162 pages, and it's in a decent font, so there's actually a good amount of content there. The title was intriguing. The term "Sceptical Occultism" (British spelling; for me it's Skeptical) seemed like an oxymoron: a self-contradiction. I haven't known any occultists who were skeptical (enough), and I haven't known any skeptics who were also occultists. So how can the two concepts be reconciled? It has elements of both. Sometimes the author sounds very grounded and skeptical, and yet his OBEs are just as "out there" as most books in the genre. I'm skeptical too, yet I can't deny my own experiences. That's how it works. When I first started reading, I gained a certain amount of respect for the author for his honesty. He openly admits that we will never be able to prove things like a nonphysical world, the existence of a soul (or astral body), life after death, or anything else for that matter. We can never disprove the arguments of an atheist. All we can really say for sure is that people have the experience. Despite all the faith (or doubt) in the world, people do have OBEs, but Dutch insists that's all we can say: We can't necessarily imply the existence of a soul, the afterlife, nonphysical reality, or any of it based on the experience. But the experiences do happen. The author drives this point a bit too far, talking about it for at least the first 50 pages of the book. That's a long time to make that argument. That's not to say the experience is without value. He argues that OBEs are still well worth having. In other words, even if a skeptic shoots down somebody's implications based on their OBEs, they haven't disproved anything: The person still had the experience. Even if it wasn't "real" it was still an experience, and it still has value for that reason. "In order to try and get these strange experiences it is quite common for the newcomer to the occult to get themselves too hard and fast involved with occultists, people who say they know, but in reality, these people who say that they know just have beliefs and a complete lack of ability to deploy scientific thinking to any strange phenomena that they might experience. Many of them are would be cult leaders and use the alleged authority of their alleged religion or beliefs to control the seeker of the truth." (pg 57). I don't agree. In my experience, seeing spirits is really quite common. However, there's a difference between ordinary spirits (which I often see) and guides or helpers (which I often can't see). They're not rare for me, anyway! Oddly, that's about the only place where I disagree. "Rehearsal is also important. Work it out. How you are going to do the projection. Get familiar with the whole process. "Walk" yourself through it in visualisation or even physically around the flat, apartment or house where you live. Tell yourself, "As I fall asleep, I am going to start from my bed, rise parallel to my sleeping physical shell and then slide through the air from Here and then slowly descend and right myself so that I am standing up Here." (pg. 74). I'm not talking about an OBE technique here (although it can work); I'm talking about using your imagination to impress the idea of OBEs on your subconscious mind (which is talked about by Muldoon and many other experts). The "Astral Projection" Facebook group has been mired by too much of this type of useless bickering about religion, and no good ever came of it. He revisits this idea at the end of the book, stressing that focus should be placed on studying the experience itself, both scientifically and from a firsthand point of view. I found Dutch's approach to OBEs to be fresh. For example, unlike many of the OBE books out there, he recommends using mantras to produce OBEs. He goes into fairly good detail about it. He doesn't try to make it some deep secret "occult" mystery. He explains why mantras work: they get you into the right frame of mind. He explains what to use: something simple that will give you an uplifting positive feeling. One example he uses is the mantra "HE - LI - UM". In other words, helium, the gas used to fill balloons to make them float. This is not rocket science. Helium is simple, can give you an uplifting feeling, has connotations of being lighter than air, able to float, etc. Sheer genius! I really liked the book for its honesty. Nick Dutch is not trying to make himself out to be some kind of guru, occultist or something special. He admits that it took him a full two years of trying before he had his first OBE. He was persistent and tried everything before he found combinations that worked. And he's eager to share what he learned, without an air of superiority. "Yes, I do believe that religious people may get more spiritual sensations and experiences, but they ascribe the experience to God, whereas I ascribe it to nature. Incidentally, I have tried in the past, to use the concept of God to help me in reaching the state of mind for an astral projection. I chose the mantra "I am ascending slowly to reach God" and found it really rather powerful. Whether God exists is an irrelevance, the words had a degree of power to help me generate the experience." (pg 112-113). On page 117, Dutch starts giving some of his OBE history and OBE narrations. This makes it all the more genuine. These aren't mind-blowing OBEs, but they definitely have a quality of authenticity. For example, he describes the OBEs as having "bluish yellow creamy light" and he writes about how objects in the room don't cast a shadow, and are illuminated from their own light. His descriptions are rich and often quite entertaining. Sometimes he went too far and scared himself. In one experiment, he tried to experiment with OBE-lycanthropy: trying to turn himself into a werewolf. It wasn't mind-blowing but it was interesting. 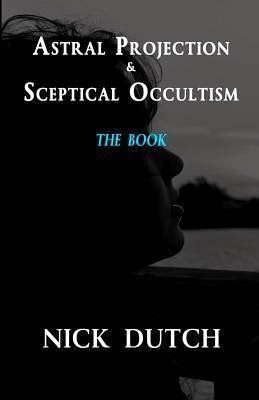 Despite the word "Occultism" in the title, Dutch does not really talk about the occult. He doesn't give any incantations, spells or occult information. He doesn't talk about the history of the occult, except in passing. (Innocuous, but enough to prove he's studied the occult). The converse is also true. Despite the word "Scepticism" in the title, he doesn't try to refute any claims, or present any scientific evidence. What he does do is tell you what he experienced and what worked for him. It was not comprehensive. When it comes to inducing OBEs, there's a lot he did not cover, but what he did cover, he covered well: his discussions were not light-weight by any means. As a grammar Nazi, it made me cringe. There were probably a hundred or more typos and grammatical problems. Like so many self-published books, this one definitely needed both a proof-reader and an editor. And no, it's not just because I'm American and he's English. These are things like "then" versus "than" (as the quote above proves), or "an" where he meant "and" or "mediation" where he meant "meditation." Despite the grammar issues, it's a decent book. I found this book to be very informative, honest and helpful for learning the art of inducing OBEs. 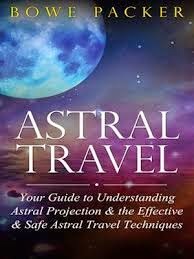 Here is my book review for Bowe Packer's book Astral Travel: Your Guide To Understanding Astral Projection & the Effective & Safe Astral Travel Techniques. First of all, this book is short. It's only 89 pages long, and it's got lots of white space. That's mainly because every paragraph is separated by two or more blanks lines, which is very unusual in the industry. So there's not much content. "There has never been a discovery of 'hell' while traveling through astral planes. It seems that, so far as astral travelers are concerned, it simply doesn't exist. Though astral travelers for centuries have tried to find this land they have been unable to do so. Even traveling through the different realms it seems to have been impossible." (page 13). Well, okay. Maybe. Although reports of "hell" are rare, I don't think it's entirely true. Granted, this book has a 2013 copyright, but Mary Deioma's 2014 book, Loved, talks about her finding what she thinks is "hell". Prior to that, some near-death experiencers (NDErs) have interpreted some of their locations as 'hell'. I tend to believe that our modern ideas of "Hell" come from various people's OBEs and NDEs. For example, part of Dante's Divine Comedy, "The Inferno." I personally have never seen "hell" nor have I looked for it. I've read some accounts of OBEs in which the environment was "hellish" but that's not quite the same as "hell". Many OBE authors insist that there are many "consensus hells" (and consensus heavens) and people who think they deserve punishment find themselves in these places after death: the direct result of their own beliefs. Still, he's right that the vast majority of OBE narratives have been positive, even heavenly. Taken at face value, I disagree. I tend to think all our experiences (both in-the-body and out-of-body) are meaningful. I try to find meaning in every event in my life. I think everything we do can be given a spiritual or non-spiritual interpretation. Then it occurred to me: There's another explanation: maybe the author is just not explaining this well enough. In dreams (both normal and lucid), events "play out" like a movie in front of us. We experience a self-created hallucination full of symbols and events that are symbolic of our fears, hopes, and concerns. In waking life (and OBEs), events don't "play out." We are not hallucinating; we're having objective experiences. So maybe Bowe Packer meant the same thing, but just didn't explain it well. "So look around and see what you can find out from others." "These are the different ways that projection occurs"
He explains them as: (1) voluntary without control, (2) voluntary with control, (3) involuntary where you see yourself from the outside, and (4) involuntary where you have conscious control. And that's basically it. End of chapter. There are absolutely no instructions--none, zero, nada, zilch--on how to induce an OBE in a chapter called "How to Project Yourself!" Maybe he just didn't name the chapter well? "Also, your physical body cannot be killed off while you are inhabiting your astral body." (page 40). Does he mean to say that your physical body is immortal and immune from harm during an OBE; that it can't be killed? That's what he said, but he can't mean that, right? I think what he's probably trying to say is that your physical body will not be harmed as a result of the OBE. Again, a truth that seems hidden inside a poor explanation. In Chapter 12, he talks about psychic protection and "The Blessed Circle." He explains (in a strange tabular format) how to perform a ritual of protection. If you're Christian, that consists of drawing a circle of salt that's exactly 5.4 feet in diameter, and saying prayers in each of the four cardinal directions (plus up). Then he explains a similar ritual if you're Pagan rather than Christian. I'm sorry, but to me, this is all unnecessary. At first I wanted to say nonsense, but that's too strong of a word. In my opinion, the ritual serves only one purpose: To invoke your trust that you are protected, and that trust is what actually protects you. I believe in using psychic protection, but I don't do any rituals: it's more about controlling your fears, believing in yourself and your protection and having the confidence to handle potential threats. Since he gave both Christian and Pagan examples, he's probably trying to get to the same place, but he didn't explain that. "...You'll want to have a soft mattress without metal springs. The metal has been known to interfere with your astral projection..." (pg. 54). The reason I flagged this is because I don't recall ever reading that in any other book. Where did he come up with that? I've had hundreds of OBEs on a mattress with metal springs and it was never a problem. I remember a couple times where I sunk slowly down into my mattress and felt the metal springs piercing through my astral body. I felt like I was impaled all over my astral body by giant cork screws, but without any pain. It was very strange. It was weird. It was fun! But it was NOT a problem, and it definitely did not interfere. (I've also had OBEs in a water bed and a sleep number bed, but that's another story). While it's true that you should eliminate hunger and other bodily demands before attempting OBE, I disagree with the two-hour thing. Speaking strictly as a man here: the time immediately after sexual release is ideal for inducing OBE, not two hours later, because it adds an extra level of relaxation. "Once you've created the circle make sure you place the foam mattress in the center of it so that you can lay your head down toward the east." (pg. 57). Really? The East? That's the first OBE book I can recall that recommends East. In his breakthrough book Journeys Out of the Body, Robert Monroe recommended pointing your head toward the North. As I stated in my first book, I've always had the most success pointing toward the West. I suspect it's a psychological thing. And how exactly do you fit both a mattress and a body inside a circle that's only 5.4 feet in diameter? I'm 5 feet 10! When I got to chapter 13, "Tips For Your Projection", guess what I found? Bowe Packer's OBE techniques! Shouldn't they be in chapter 10, How to Project Yourself? These were not tips, they were actual OBE techniques. So the bottom line is that the author is not very good at explaining himself. As a grammar Nazi, I'd have to say this book needs serious editing. The spelling and grammar were not bad, but the sentence structures and wordiness make it hard to read. On the positive side, he gives four OBE techniques, although I could argue that the last one ("Sending an Observer") is really a remote viewing technique, not an OBE technique. The four are not very original or unique, but they are given in decent detail. On the negative side, there weren't any OBE narratives, so you can't get an idea of Bowe Packer's experiences. You can't tell his credentials or where he got his knowledge. This book isn't high on my list. To make it a great book, it should have been five times as long, without the white-space, more succinct in style, with more clarity, and edited professionally.